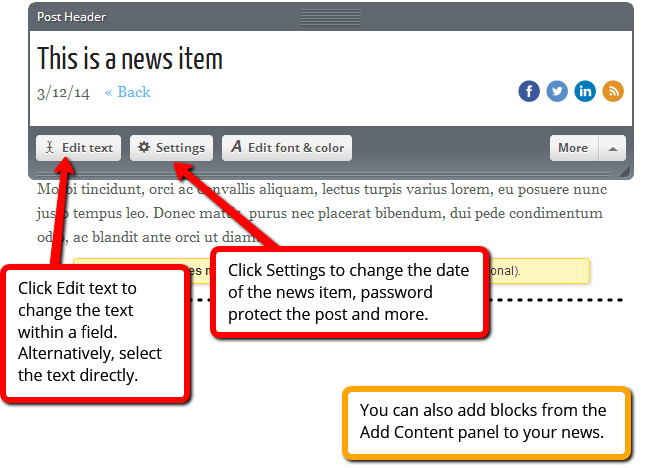 Using PagePicnic's News element, you can create a news-style page where text and image are sorted by day and time. 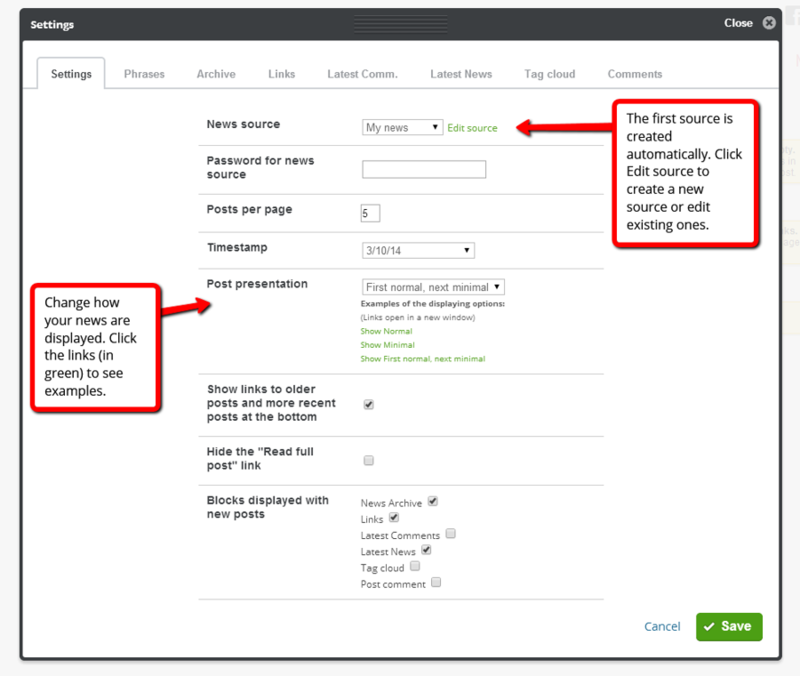 You can turn your news into snippets, which will expand when clicked. Let's have a look at how the News element works. First of all, we would like to add the News and sidepanel block. We have created a specific page (called "News") with two columns. We will place the News block in the left column, and the News panel to the right. 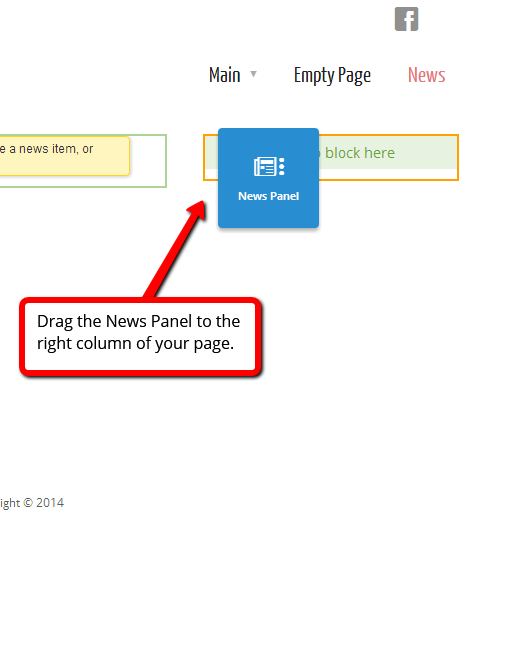 Now we have two empty blocks on our page: the News block and the News Panel. 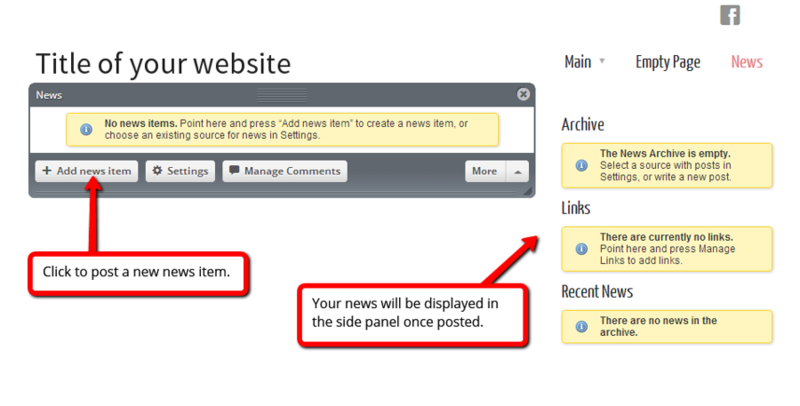 Mouse over the News block and click Settings to have a look at the different alternatives for this block. Now, we are going to add our first piece of news to the news feed. 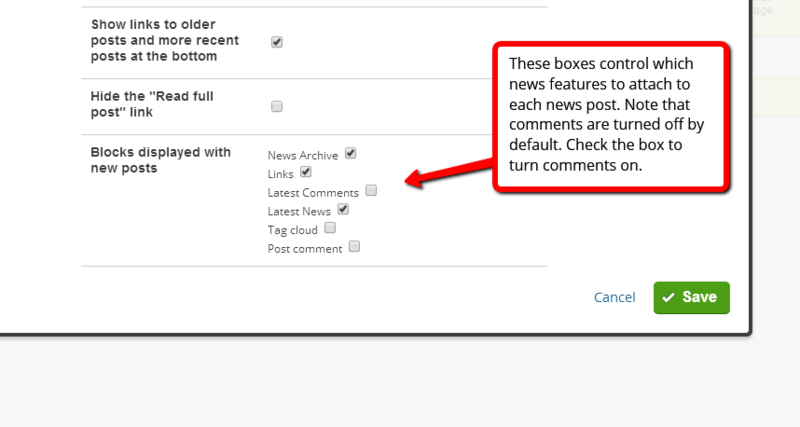 Mouse over the News block and click Add news item to create your first post. 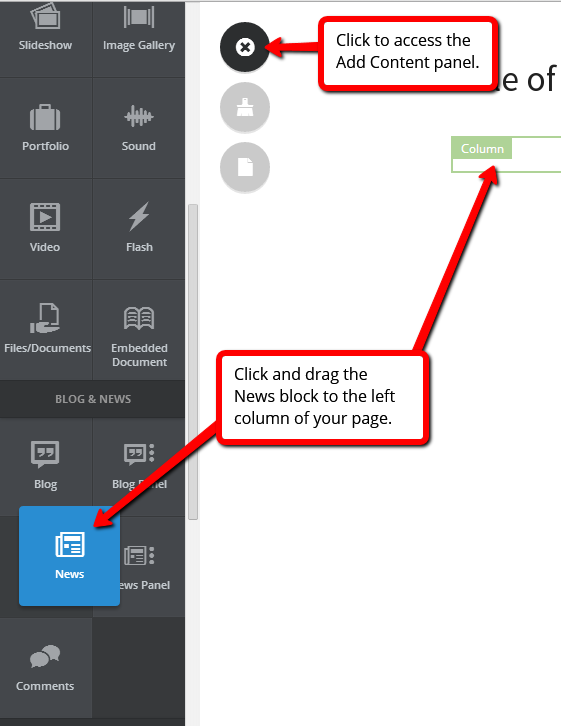 A new post will appear with placeholder text and header. Mouse over the fields to change them, or click Settings to see more options. 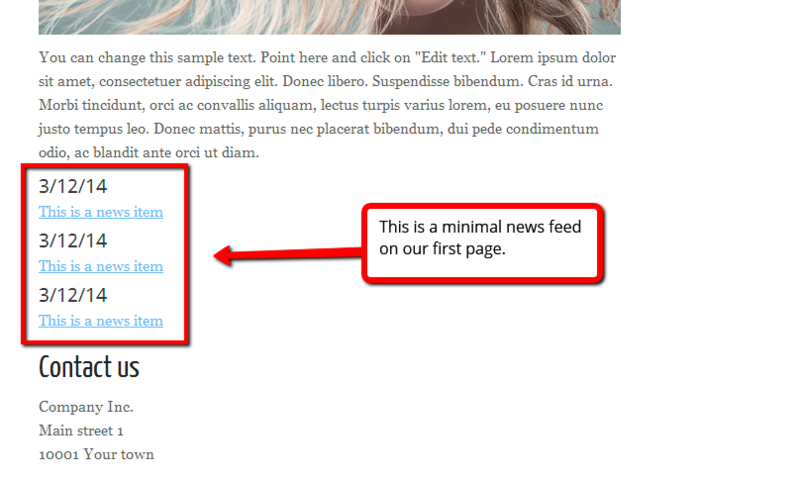 Simply click and drag elements from the Add Content panel to your news post to add images, video, headers and more. Go back to your main page to see your main news element. 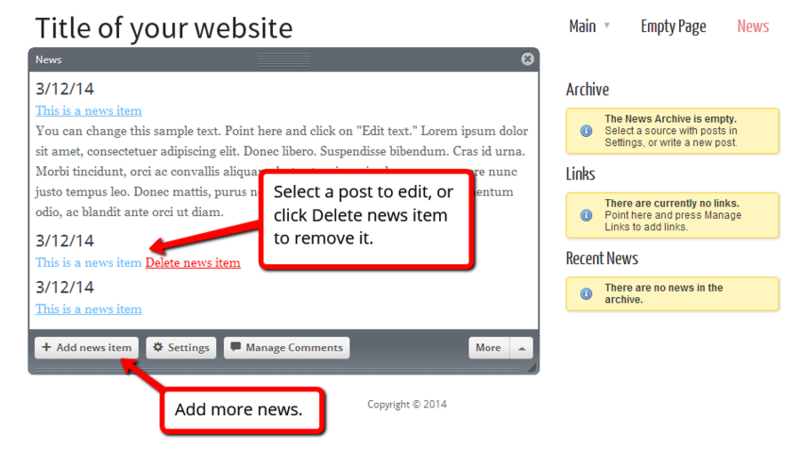 Mouse over the block to edit, delete or add new news items. 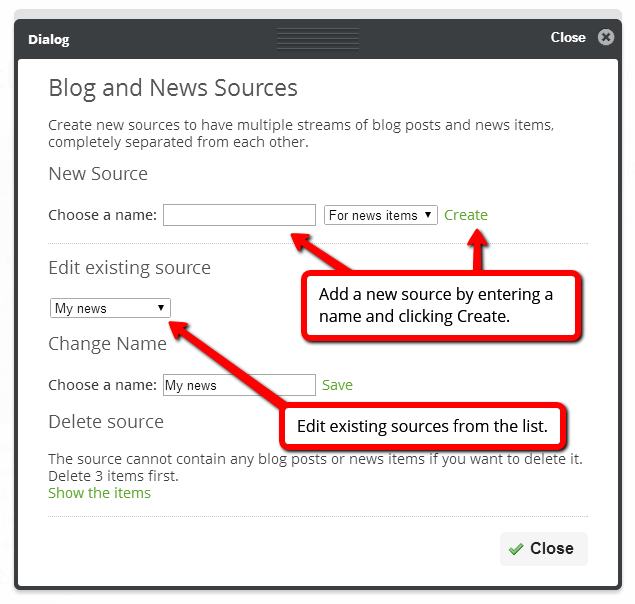 By using different sources, you can publish several news feeds with different content. When adding a new News block, this dialog box will appear. 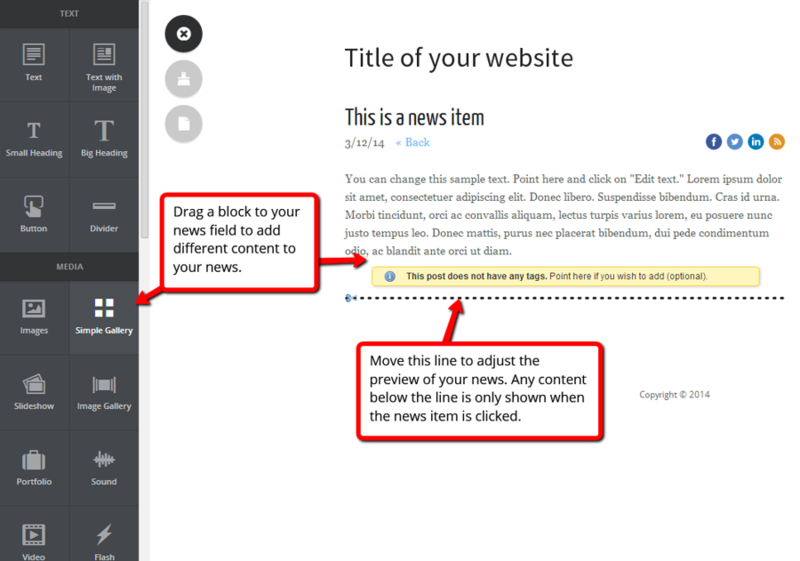 By using several News blocks with the same source, you can display your news in different ways. For example, you can have a minimal view news feed on your first page.